Leaders of the newly combined Cigna and Express Scripts are touting the company’s commitment to the St. Louis region. “We're going to grow here,” said Tim Wentworth, president of the new Express Scripts and Cigna Service. He had been the chief executive officer of Express Scripts. 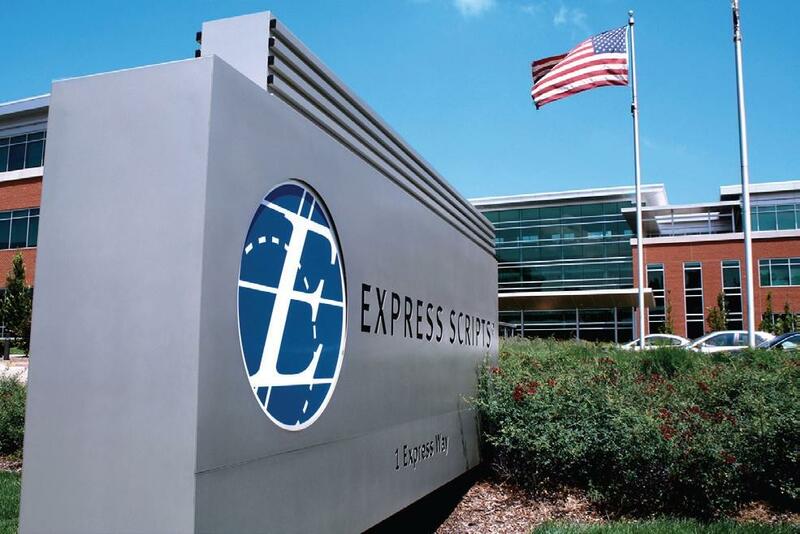 Express Scripts was founded in St. Louis County in 1986. The Connecticut health insurer’s multi-billion-dollar acquisition of the pharmacy benefits manager closed Thursday. “Those synergies that you hear talked about and see in a lot of integrations after an acquisition — that dynamic doesn't play here," Wentworth said. That’s because Cigna did not have a well-rounded pharmacy benefits management system before acquiring the St. Louis County based company, he said. St. Louis Public Radio's Wayne Pratt talks to Express Scripts and Cigna Services President Tim Wentworth about the combined company's plans for St. Louis. Express Scripts has roughly 5,000 workers in the St. Louis region and approximately 28,000 worldwide. The Cigna combination creates a company that employs 74,000. Wentworth is not anticipating any reductions in St. Louis-area operations, as the Express Scripts unit takes over the limited pharmacy benefits services Cigna customers have been receiving. “That’s why I believe actually over time you’ll see job growth here in St. Louis,” he said. It’s also why he said he signed a three-year contract to stay and oversee operations in the region. Express Scripts and Cigna Services President Tim Wentworth and St. Louis Public Radio's Wayne Pratt talk about the concerns some workers may have and more reasons why Wentworth is convinced St. Louis will remain vital to the overall operation. The deal is part of a mergers-and-acquisitions trend in the health-care industry. The owner of CVS drug stores is working on finalizing a roughly $70 billion merger with Aetna. The Wall Street Journal has reported that Walgreens is considering a deal for health insurer Humana. GlaxoSmithKline and Pfizer announced an agreement this week to combine their consumer health units. That potential merger has a direct link to the region, because GlaxoSmithKline manufacturers the TUMS antacid at a facility in St. Louis. This article firs appeared in the St. Louis Beacon, Sept. 22, 2011 - WASHINGTON - It's a mega-merger that could impact consumers, pharmacies and company health-care plans across the country -- not to mention a thriving St. Louis based-company and the obscure but important culture of "pharmacy benefit management." This article first appeared in the St. Louis Beacon, Aug. 3, 2011 - Former Express Scripts chairman Harlan Steinbaum believes he knows a smart and ethical CEO when he meets one, and he says he's talked to dozens of them -- including some of the biggest business names in St. Louis -- for his book "Tough Calls from the Corner Office: Top Business Leaders Reveal Their Career-Defining Moments" ($25.99, Harper Business).